Konstantin Nikolayevich Batyushkov (Russian: Константи́н Никола́евич Ба́тюшков; IPA: [kənstɐnʲˈtʲin nʲɪkɐˈlajɪvʲɪtɕ ˈbatʲʊʂkəf]; 29 May [O.S. 18 May] 1787 – 19 July [O.S. 7 July] 1855) was a Russian poet, essayist and translator of the Romantic era. He also served in the diplomatic corps, spending an extended period in 1818 and 1819 as a secretary to the Russian diplomatic mission at Naples. Batyushkov's earliest extant letter from St. Petersburg is dated 6 July 1797. His first years there were spent in Pensionnats (private boarding schools). Contact with his relatives was restricted to correspondence and rare meetings. From 1797 to 1800 he studied at the Pensionnat directed by O.P. Jacquinot; it was a rather expensive school for children of good families. The curriculum included Russian, French, German, divinity, geography, history, statistics, arithmetic, chemistry, botany, calligraphy, drawing and dancing. In 1801 Batyushkov entered the Pensionnat run by an Italian, I.A. Tripoli; he graduated in 1802. It was here that Batyushkov began to study Italian. His first literary offering, however, was a translation into French of Metropolitan Platon's Address on the occasion of the coronation of Alexander I of Russia. 1802 is conventionally considered the beginning of Batyushkov's poetic career. He wrote in a letter to Nikolai Gnedich on 1 April 1810 that he had composed his first poem at the age of fifteen. Batyushkov quotes two lines; he felt that their main idea — dissatisfaction with reality and a longing for "distant lands", both geographic and spiritual — anticipated his mature work: "Muza moia, eshche devstvennitsa, ugadala" (My Muse, while still a virgin, had divined it). In the autumn of 1806 Napoleon occupied Berlin and most of Prussia, Russia's ally; Alexander I declared a mass levy. On 13 January 1807 Batyushkov, with the civil rank corresponding to the twelfth class, was attached to General Nikolai Nikolaevich Tatishchev's staff.On 22 February he enlisted in Petersburg battalion of the Militia as sotennyi (a junior officer), and immediately set out for the West. On 2 March he was in Narva, 19 March — in Riga, from where he sent letters to Gnedich, containing an improptu and another verse epistle. When taking part in the Prussian campaign, he met Ivan Aleksandrovich Petin, an officer, who was to become another close friend. Batyushkov fought at the battle of Gutstadt (22—27 May); on 29 May he was seriously wounded at the battle of Heilsberg. (A year later, on 20 May 1808, he was awarded the Order of St. Anne, 3rd class, for bravery.) 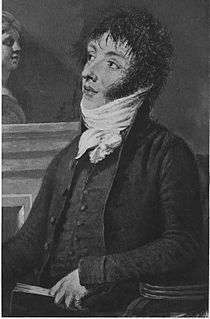 After the battle he was transported to hospital and then to Riga where he was convalescing during June and July 1807. The scenes of destruction deeply affected him and determined his attitude to the war; he wrote to Gnedich of the French:"Barbarians! Vandals! And this nation of monsters even dares to speak of freedom, of philosophy, of philanthropy!". On 29 March Batyushkov entered military service, with the rank of junior captain.It was the events of 1812 that dictated the mood of an epistle-elegy, "K Dashkovu" (To Dashkov), a turning-point in Batyushkov's poetics and weltanschauung. The poem echoes his personal letters and expresses his feelings on seeing Moscow in ruins.The War becomes an incarnation of Evil: "Moi drug! ia videl more zla / I neba mstitel'nogo kary" (My friend! I saw a sea of evil / And wrath of the avenging heavens). In January 1814 the Russians crossed the Rhine, entered France and moved in on the capital.The first month in Paris was an exciting time for Batyushkov. 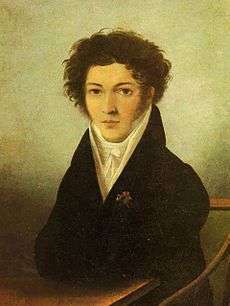 He even managed to attend a meeting of the Academy.Batyushkov's impressions were negative and he wrote on 25 April 1814 that the age of glory for French literature had passed. This letter was also a literary work; an abridged version was published by the poet's friends in 1827. In May Batyushkov fell ill, grew depressed and decided to return home.Batyushkov arrived in London in mid May and spent two weeks in England. On 25 May he was issued a passport to travel home via Sweden, and from 30 May to June was sailing from Harwich to Gothenburg. The crossing was described in a letter on 19 June 1814; Batyushkov later revised it as a traveller's sketch which was published in 1827. In early January 1815 a crash of matrimonial hopes coupled with serious illness caused a nervous reaction.In March Batyushkov set off in search of spiritual healing.He spent the second week of Lent at a monastery in Tikhvin. It seems that Batyushkov experienced a religious conversion, evidence of which may be found in a poem of this year, "Nadezhda" (Hope). Apparently in the same year he composed a poem combining the motifs of love and fatal illness: "Posledniaia vesna" (The Last Spring), a free version of Charles-Hubert Millevoye's "La Chute des feuilles", one of the most popular elegies among Russian translators of the 1810s and 1820s. Another translation, "Mshchenie" (Vengeance) from Parny, was composed both as an addition to the earlier "Prividenie" (a "mirror image" of the same theme), and a possible sublimation of his disappointment in love, which was still eloquent in his poems. In the first half of 1815 Batyushkov came to meet the young Aleksandr Pushkin at Tsarskoe Selo; in the eyes of later generations this meeting took on an historic or even symbolic meaning. During 1820 Batyushkov's depression grew. In August he applied for leave to go to Germany, confirmed only in April 1821. From December 1820 to May 1821 he lived in Rome, then went to Teplitz for convalescence; in November he moved to Dresden. The first signs of approaching insanity were a series of quarrels on relatively insignificant grounds.In 1820 an editor of "Syn otechestva" journal, Aleksandr Voeikov, permitted himself an unauthorized publication of an epitaph by Batyushkov. The author overreacted:Batyushkov, infuriated, sent Gnedich a letter intended for "Syn otechestva", claiming he had abandoned his writing forever. Pletnev, a genuine admirer of Batyushkov, attempted to palliate his "guilt" by publishing a panegyrical "inscription" to Batyushkov — who took it as yet another insult. Batyushkov's mind became clouded, and in a fit of depression he destroyed his latest manuscripts. Died 7 July 1855 from typhus. ↑ N. V. Fridman, Поэзия Батюшкова, Moscow, Nauka, 1971, pp. 124, 248. Wikimedia Commons has media related to Konstantin Batyushkov.